GRENADA: On 1st June 2013, Mott Green, founder of The Grenada Chocolate Company, died in a tragic accident. Here, Lisa Wilson recalls his life and work; Lucy Gilliam discusses his legacy with Charlie Boxer; and Mike Tinney presents a selection of images from the Belmont Estate. David Friedman, known as Mott Green, founder of The Grenada Chocolate Company, died on June 1st 2013 on the Belmont Estate in Grenada, aged 47. He was electrocuted while working on a solar-powered refrigeration system to cool chocolate bars. As an established activist, Mott set out to address issues he had noted in the Ivory Coast where negative social effects were caused by the power exercised by large chocolate companies, including the proliferation of child labour on the cocoa farms. 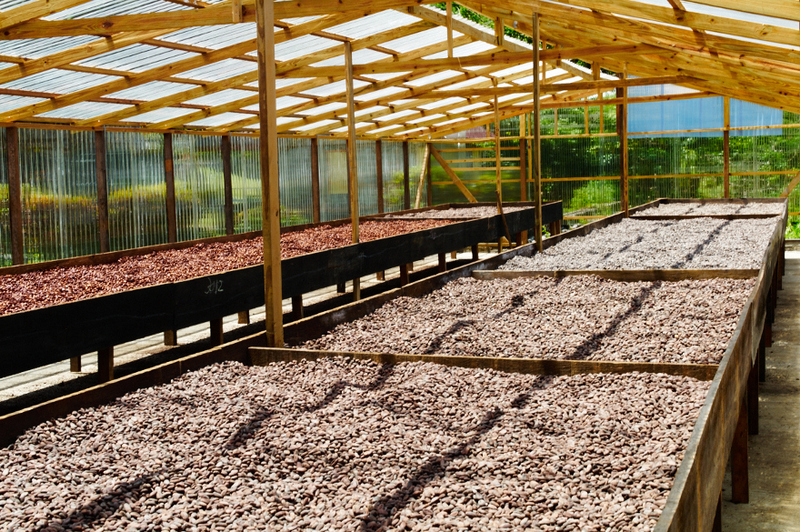 Mott preferred to deal with small growers and keep the packaging of the product within Grenada, and he set out to create the only chocolate-making company in a cocoa-producing country. He established the Grenada Chocolate Company in 1999. 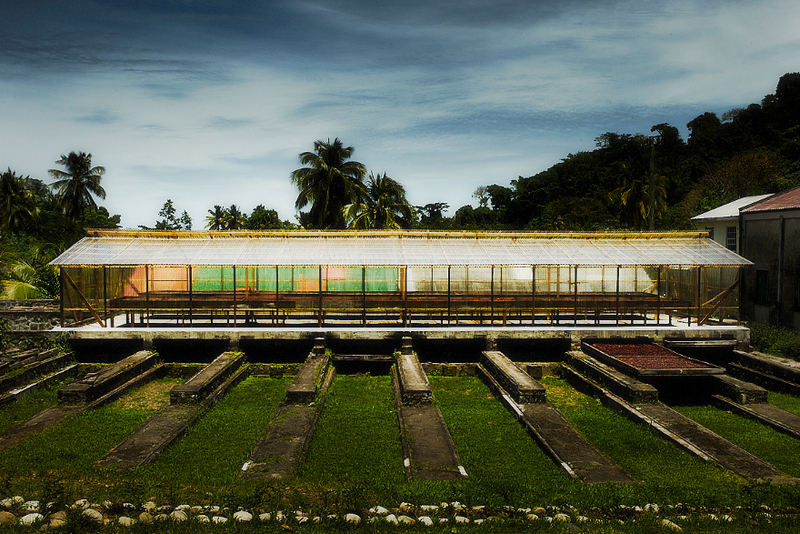 Working with small cocoa farms and hiring up to 50 factory employees who all earned the same wage, Mott developed a system whereby cocoa beans were dried in the sun, the machinery was converted to solar power, and international and local distribution was handled by sail ship and bicycle. The Grenada Chocolate Company's chocolate bars are made from single estate cocoa, and the business is run using a co-operative approach, from tree to bar, with profits benefiting the island and producers rather than large conglomerates that tend to exploit the growers. Much of the machinery dates from the 1900s and was converted in a barn by a friend of Mott's in Oregon, Doug Browne. The company has won many awards for the quality of its chocolate, and for establishing Grenadian products in international markets, pioneering agro-tourism, outstanding environmental conservation efforts and promoting organic farming. Mott pioneered what he called ”the first carbon-neutral trans-Atlantic mass chocolate delivery". In an interview with D Magazine, Dallas (2012), Mott said: "My progression was activist, love Grenada, love cocoa, love machines and tinkering, making chocolate and doing it all without harming the land." David Lawrence Friedman was born on 15 April 1966 in Washington, shortly after his family moved to Staten Island. Both parents were doctors. His father eventually became Director Medical Services at Coney Island Hospital, and in the winters lectured in Grenada, often taking the family along. David was valedictorian of his class at Curtis High School before declining a place at MIT to study in Pennsylvania. He dropped out shortly before his graduation, feeling that the education system that he'd participated in exemplified a corrupt social structure. As a friend put it, “[Mott was] repulsed by the prison of privilege”. He did not see it as 'real life', and felt that he found that in Grenada. David’s nickname was 'Moth', as he was seen to flit as a young boy, and 'Mott' came from the Grenadian pronunciation. Green was to reflect his environmental ideals. After college he spent time as a ‘master tinkerer' — routing electricity into abandoned houses for squatters, and providing food for the homeless by scavenging from restaurant wastage in Philadelphia. Later in Manhattan, he developed solar-powered hot water showers for a group of squatters. 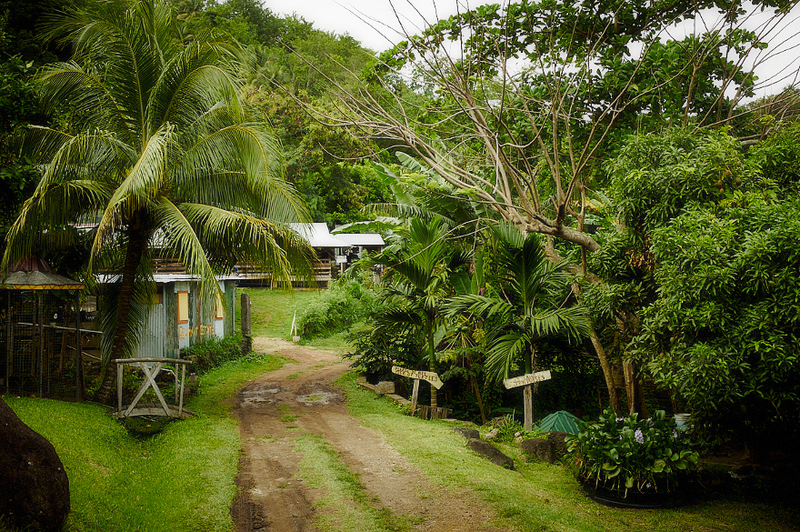 Mott built a bamboo hut in the rainforest that had solar power so he could listen to his music. Mott built himself a bamboo hut in the Grenadian rainforest that had solar power so he could listen to his music collection (he was a big fan of Ella Fitzgerald). Cocoa tea, the local speciality, tempted him into an interaction with local cocoa farmers and workers. He and his friend Doug Browne studied chocolate production in San Francisco, after which time they bought up old machinery and shipped it to Grenada. There it was converted to work in a jungle environment using solar power. In 2012, Mott pioneered what he called ”the first carbon-neutral trans-Atlantic mass chocolate delivery”, working with Fairtransport who operate the sail-powered Brigantine Tres Hombres. In Amsterdam, volunteer distributed the chocolate bars by bicycle. His chocolate bars are found not only throughout Grenada but in retail stores such as Whole Foods in New York and John Lewis, the department store on Oxford Street in London. Lisa Wilson, 16th June 2013. Lucy Gilliam: How and when did you meet Mott? Charlie Boxer: I first met Mott when Chantal from Rococo Chocolate brought him into the shop about five years ago when he came over for Chocolate Week to promote his products. He came over with Edmund from Grenada Chocolate, now the only surviving founding partners. The three founders were Mott, Edmund and Doug. 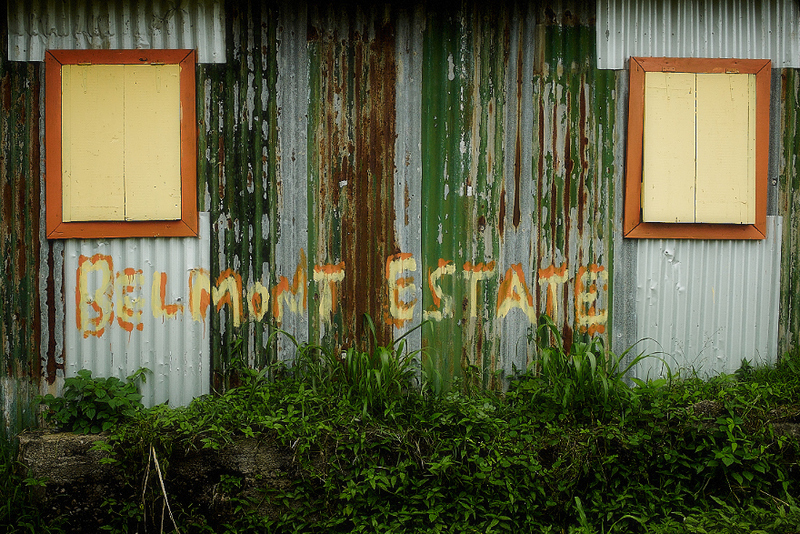 Edmund was an island boy and the brother of Mott's first Rasta friend on the island. Lucy: Mott has been often described as a maverick idealist (or along those lines). Can you describe Mott's passions and values? 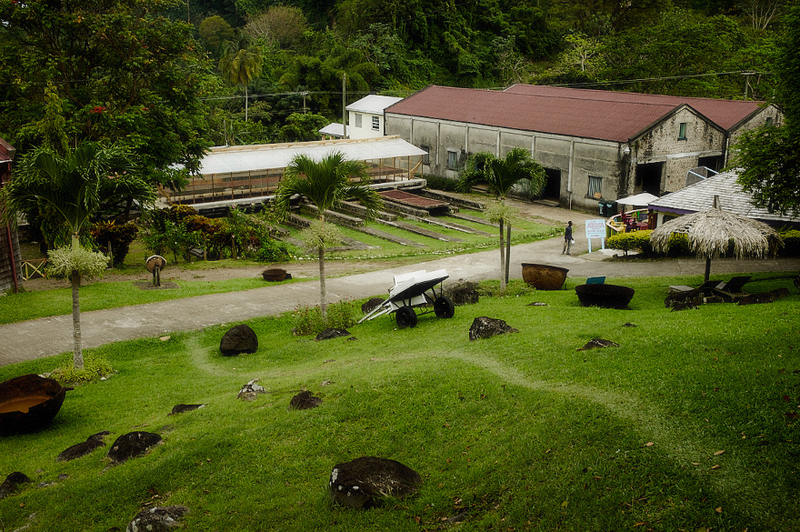 Can you recall events that led him down the path to founding Grenada Chocolate Company? Charlie: He was the most serious and committed person – very single minded in achieving his goals. As a young man he dropped out of university. I don't really know why but I think it was maybe a problem with professional bourgeois life. I dropped out myself and it was for similar reasons. He then became very active in social activism and squatters actions in New York. He got involved in food reclamation and built the first solar electric car in the world and used it to distribute food around the squats in New York. He had a whole, intense life and he lived it so hard. But he found the New York winters too cold for him. He was a very active and very naturally thin person. He perhaps never quite ate enough. He had to find somewhere else to spend his winters. He really never did anything for himself and was always working. So he went looking for a winter activity and thought the West Indies seemed nice. He chose Grenada perhaps because it was less developed, less touristy. It was shortly after the American invasion, but before the hurricanes and initially there were rumours that he was some sort of CIA spook or relic of the invasion. He arrived and built a little hut in the jungle and made a little steam engine out of bamboo. He went walking around the island helping people acquire solar panels. Very soon the things he was doing in New York, he was doing on this tropical island. 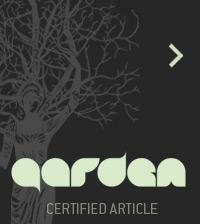 The company was founded as a cooperative – as ethically minded from start to finish as possible. His journey into chocolate as I understand it, is that as a young man he wasn't that interested in chocolate, due to its perception as too luxurious or non-essential. But he was also a vegan and he quickly became obsessed with chocolate. He had a very good palate. He became aware that the island produced probably the best variety of chocolate in the world but that it was all exported and the people grew it, harvested it, and cultivated it, never got to taste it. It's always shipped out to be processed overseas. He had the idea of developing a bean-to-bar chocolate on the island, which was considered impossible at the time, for lots of different reasons: the climate wasn't right and the economics of manufacturing on a small scale probably weren't considered possible or profitable, and besides, there wasn't enough energy on the island, and chocolate manufacture is an energy-intensive process. But Mott had a great friend in Doug, who was a bit of a recluse and the son of the inventor of the pacemaker so was sitting on a small fortune. Doug was one of the three founders but sadly died of cancer in 2008. Doug financed the project, and helped design the machines and build the factory, manufacturing the parts at Doug's place in Oregon, Portland, USA. The company was founded as a cooperative – as ethically minded from start to finish as possible, and the growers benefiting from a significantly better price for their beans. It's really the most ethical chocolate I've ever heard about. It's organic, certified organic, completely vegan, non-dairy, completely human scale and he built these hurricane resistant solar panels to power the factory. He sorted out every ethical issue and from very early on started producing very high grade chocolate. Lucy: What was the response from the industry to his chocolate? Charlie: I used to go to chocolate panels and Chocolate Week events and it was clear that he was highly respected person. He just knew so much about chocolate and had a very good palate. He had very strict ethics and judgement of aesthetics. The chocolate industry is huge and there are lots of quite dark practices in the industry that some can't bear to talk about – like issues around child labour in plantations in the west coast of Africa. Mott had a completely unique position in the chocolate world. Mott would want to be remembered through the actions of people doing things as he did them. Lucy: What is your fondest memory of Mott? Charlie: That's really hard as we spent a lot of time together and got on really well. We talked a lot. Often late into the night. He was really fascinating to talk to. He was very intense. He had a great understanding of people. Lucy: The thing that struck me about Mott when I met him was that he seemed to have such passion and warmth for the people he worked with in Grenada. Charlie: Yes he really did. Also I sailed with him on the ship, Tres Hombres, with his chocolate which was fantastic. I sailed with him on his Hobie Cat in Grenada. That was quite frightening! Charlie: And he was building a new larger catamaran to sail chocolate between the islands. I was quite terrified about that! Sadly he died while it was still being built. Lucy: How do you think Mott would like to be remembered? Charlie: The company will carry on. It will be a struggle for him to be replaced but I'm certain it will carry on. Mott would be happiest to be remembered through the actions of people doing things as he did them. It's funny how losing someone refines in your mind how unique they were. I knew Mott was unique but it is now that I'm really understanding just how unique he really was. The rarity of someone so committed. Katie, my wife, says he was a complete saint. He lived for other people and put so much energy into what he did. In some ways he had quite a lonely life. But he was never deflected from his purpose. I think he would like people to know that such a life is possible and also to be inspired to create more such idealist projects. Lisa Wilson is an economist and a Contributing Editor at The Journal of Wild Culture. Her background is in research on defence, environmental and health economics. Jane Noël is a doctor who has lived in Grenada for 17 years. She is currently working as Head of Westmoreland Junior School in Grenada, helping to promote and develop the teaching of music and swimming programmes on the island by working with FINA and with the Olympic committee to promote sport within the Caribbean. Jane's husband, Douglas Noël, was born on the island and returned to practice as an orthopaedic surgeon after training in Ireland and England. Dr Lucy Gilliam is a founder and director of New Dawn Traders, a partnership of scientists, artists and chefs re-imagining global trade by sail while promoting the concept of 'slow food'. Last year she crossed the Atlantic twice sailing the old trade route and covering over 10,000 sea miles using the power of the wind. 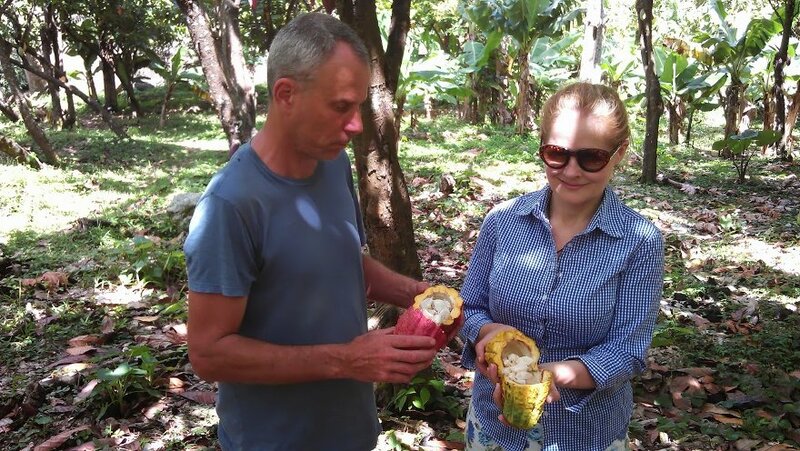 Lucy visited the Grenada Chocolate Company and had been working with Mott to make future sail cargo plans. Charlie Boxer is owner of Italo Deli in London, stockists of Grenada Chocolate Company. Mike Tinney is a London-based photographer, who traveled for nine weeks with the New Dawn Traders from Grenada to Spain — with an eye to understanding the need to shake up how we acquire our food in the global marketplace. This was his first assignment after having been a long serving assistant to the photographer Rankin.